French: Rousserolle verderolle; German: Sumpfrohrsänger; Spanish: Carricero Poliglota. 5.1 in (13 cm); 0.4-0.7 oz (10-20 g). Heavy, medium-sized warbler with uniform olive-brown upperparts, creamy under-parts, buffy wash on sides of breast and flanks, white throat, and light line from eye to base of bill. Breeds throughout Central and Western Europe, excluding Iberia and British Isles to southern Scandinavia and western Russia. Winters in Southeast Africa. 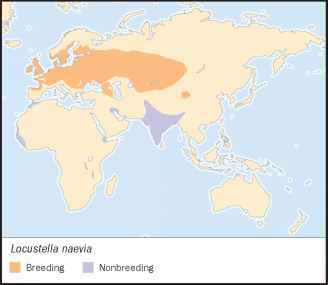 Breeds in tall herbaceous vegetation and woody cover, often in moist areas, but also on dry slopes, and in parks and open forest. Solitary and territorial in breeding season, some males polyterritorial. Posture somewhat upright. Song a complex, sweet warble learned by mimicry of other birds. Female sings during courtship. Gleans insects and spiders from low vegetation. Also takes snails, and rarely berries. Mostly monogamous, but serial monogamy and opportunistic polygyny occur. Courtship may include aerial dance involving both sexes. 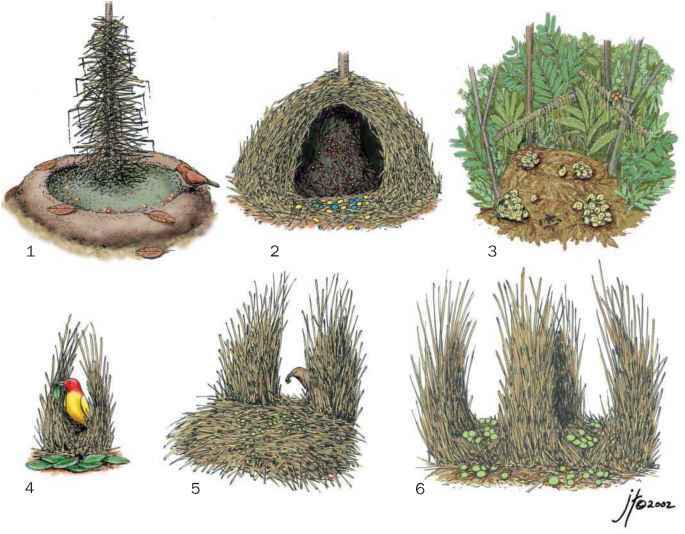 Nest is built by female; cylindrical cup of leaves and plant material 3.3-6.6 ft (1-2 m) from ground in tall vegetation, with rim woven around supporting vegetation. Three to six eggs incubated and young, cared for by both parents, leave nest after 11-12 days, remain dependent 15-19 days.